Ooooooooooh! Today at work, I was dreaming about Dampa. I first heard about this place 2 years ago before coming home to the Philippines for my annual vacation. I tried to look for it then but was not successful. Last April though, I was very successful. We tried 2 of the 3 Dampas in Manila. It was sooooo much better than what I imagined. 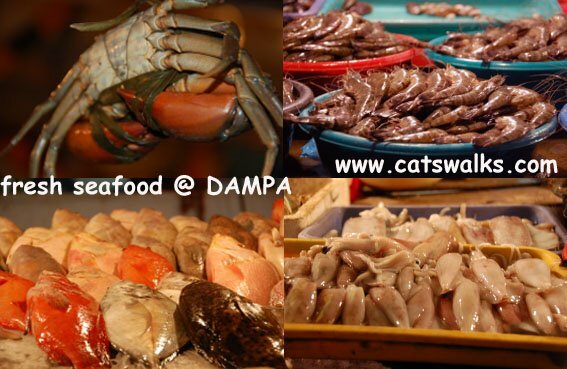 So what is Dampa? 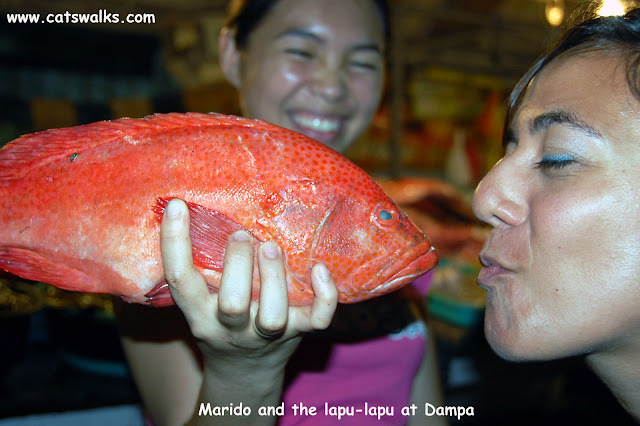 Dampa is a Filipino term for market. Basically, you would buy fresh fish in the market then have it cooked in a nearby restaurant (called paluto restaurant, direct translation is "cook it for me" restaurant). Just describe to the cook how you want your fish or shellfish or even meat cooked then you will be charged a cooking fee per kilo (about 150 pesos or 3 chf or 3 USD). The result is excellent, fresh and cheap food! Oooooh... it was delicious! Because Switzerland is a landlocked country, seafood is very expensive. I usually can afford only the small shrimps. At Dampa, I drowned myself in kilos of prawns, lapu-lapu and mussels. I love garlic prawns, sweet and sour lapu-lapu and baked mussels with cheese and garlic. To be honest with you, I am really tempted to fly to the Philippines for the weekend just to eat again at Dampa. My favorite Dampa would be the one behind HK Sun Plaza near Mall of Asia because there are more paluto restaurants to choose from. I also have a feeling that it is cleaner. You will find paluto restaurants specializing in grills, Tsinoy (Filipino-Chinese) and Filipino cuisines. We just went in the restaurant nearest to where we were parked. I have not been disappointed so far. hi cathy! 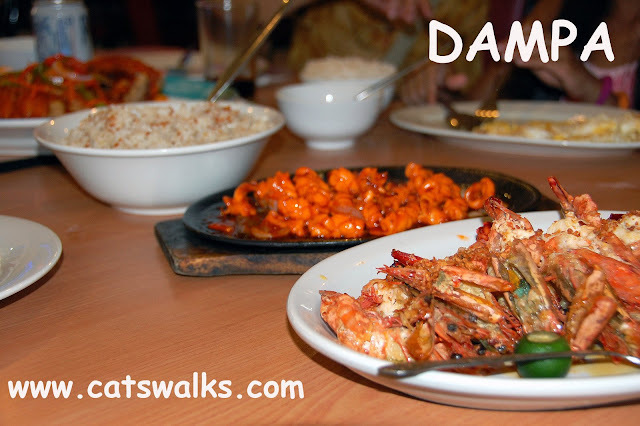 I had my own "Dampa Experience" and it's a wonderful and gastronomic experience! but when i visited Bacolod and Davao, oh my the seafoods, tuna, alimango... it's , more than a gastronomic experience!! !lol and it's so fresh. You must include Davao in your annual vacation in the Philippines. Btw, thanks for following my site and all the comments you posted there! Can you possibly tell me where the other 2 locations are in Manila. Now you've got me wanting some good food. the paluto fee before was about P50 per kilo o mas mura pa, the P150 per kilo nowadays was the result of dampa being patronized by those who can pay more, sayang. Dan- One is in paranaque. It's on the right side of the road if you are coming from NAIA going to sucat. Sorry, I don't know the exact address. The one in Libis I have not tried. You should try the one behind the HK Sun Plaza near Mall of Asia. Thanks for the comment. Zherwin- Hi! I hope you feel better! Welcome back! 150 is still cheap for the quality of the food. I still spend so much less than when I go to Seafood Wharf. haven't tried a dampa in ages. :( but i do miss it. i love the idea of eating some really fresh seafood. :O good stuff.